The RCA Voyager II Tablet is perfect for the Holidays! The RCA Voyager II tablet's front camera takes wonderful pictures that are perfect for sharing with family and friends. I also love the tablet's built-in Bluetooth capability because I can connect and pair it with all my compatible devices. 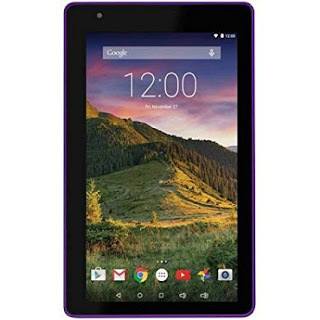 The RCA Voyager II Tablet is perfect for taking in a movie, playing your favorite game or surfing the Web. I also love the RCA Voyager II Tablet's long battery life. It seems like I rarely have to charge it. The screen is crystal clear and I love how quickly it responds! If you're looking for the perfect gift this holiday season, look no further than the RCA Voyager II Tablet! Click HERE to learn more about RCA! Follow RCA on social media!